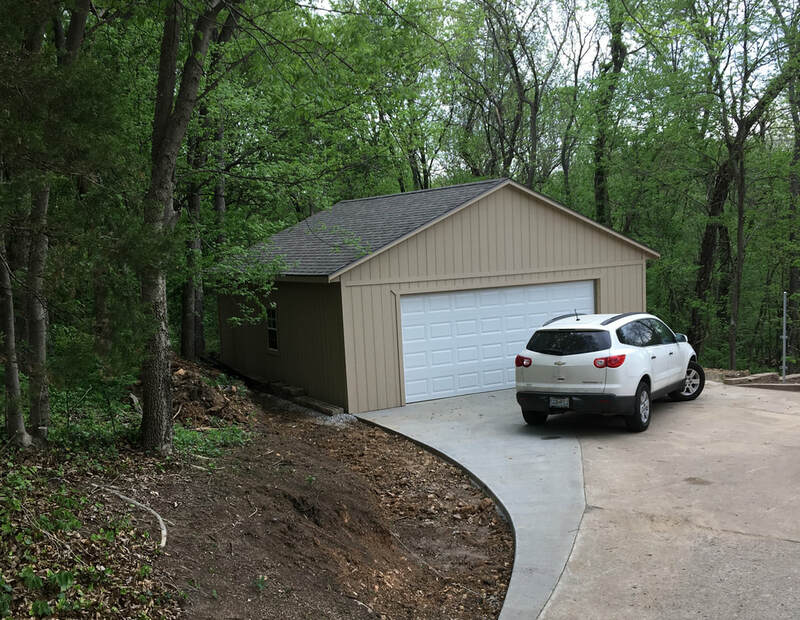 About our Garages in Kansas City. Big or small. One door to four. 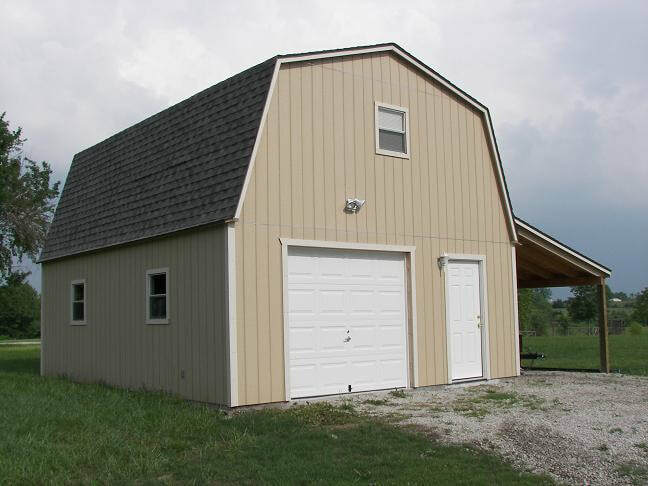 Gable or barn style. Whatever your need for garage space, we can help. 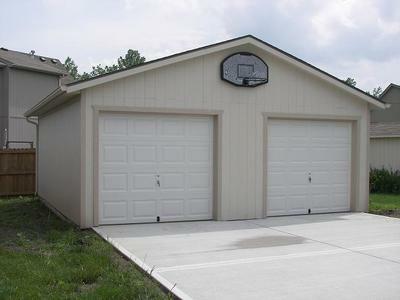 We offer a wide range of Supreme Garage Packages loaded with standard features. Or customize for your needs by taking advantage of the many optional features from Cedar Built USA. 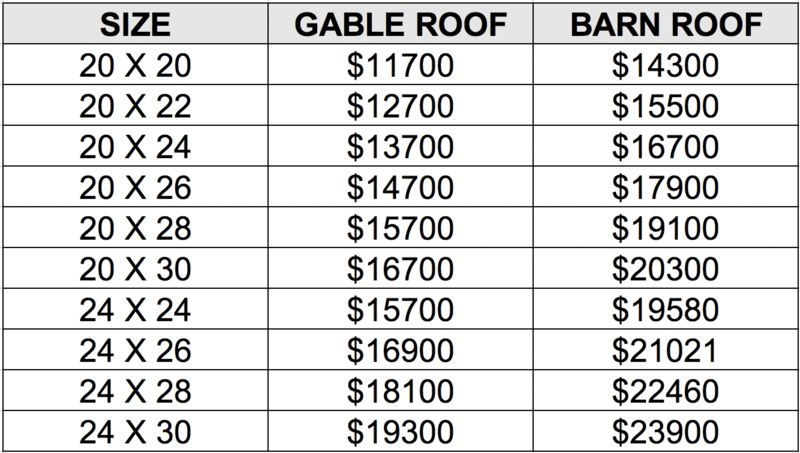 Call us for a FREE on-site estimate (within 50 mile radius of Cedar Built USA). 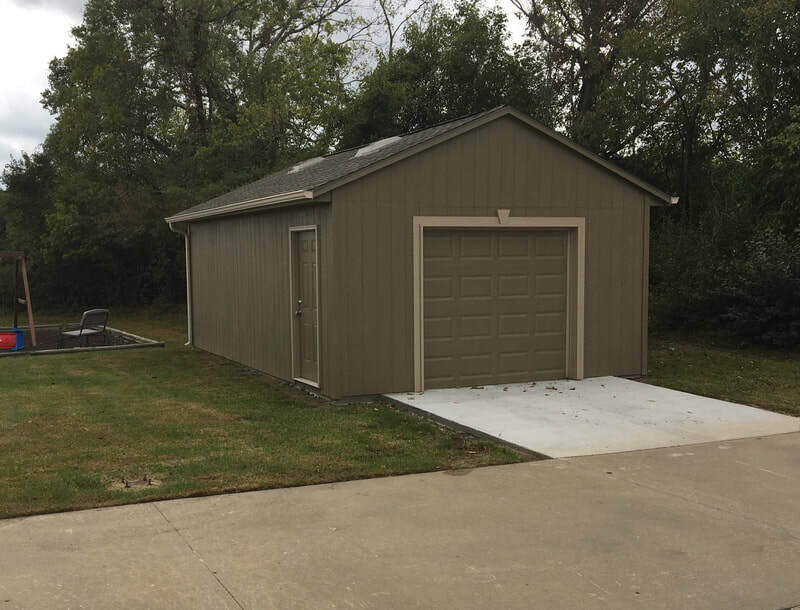 Price Includes 4" concrete slab, a 9'x7' overhead door and a 3' entry door. All barn styles include a full loft with permanent stairs. 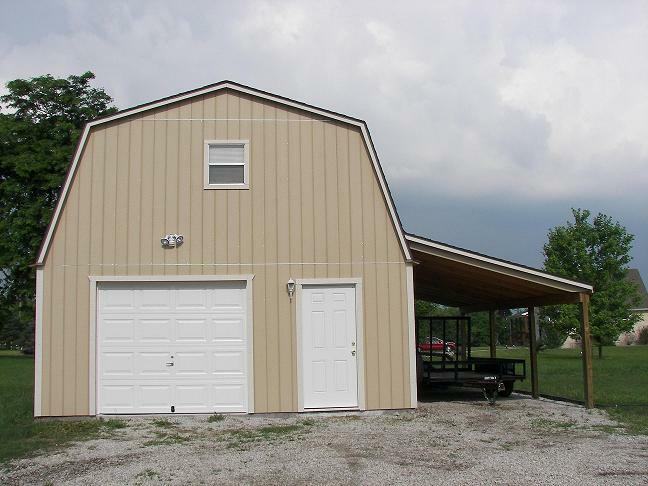 Price Includes 4" concrete slab, a 16'x7' overhead door and a 3' entry door. All barn styles include a full loft with permanent stairs.